Entrancing attire that glitter your beauty. 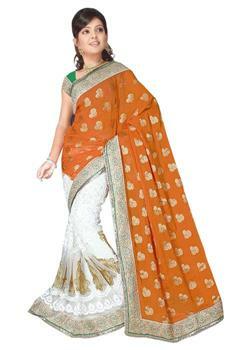 The elegant deep orange and white half n half saree with heavy golden and green border. The creases of saree intricate by rich embroidery and zari work, it comes with free customize blouse fabric.